A behind-the-scenes look at what really happens when children in schools up and down the country ‘do’ the nativity. Available with Words on Screen™ v2. Refreshed and updated for 2018, our NEW EDITION of Tinsel And Tea Towels has even more included to help you put on a great nativity, including brand new recordings of 9 classic songs, an easy-to-follow script and tons of staging suggestions to get you started! No Christmas celebrations are complete without a healthy dose of Tinsel and Tea Towels! 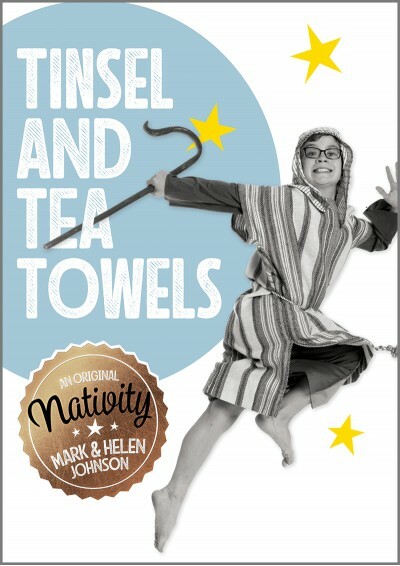 One of our classic nativities, Tinsel And Tea Towels is a true-to-life and genuinely funny musical. 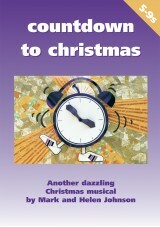 As everyone in school is preparing for the Christmas nativity play, the pressure is on! The traditional nativity is unpacked as each class prepares to present different elements of the original story, and we are treated to a behind-the-scenes look at what really happens when children in schools up and down the country ‘do’ the nativity. The traditional story with a contemporary approach and a whole lot of humour. One of the features of this particular nativity musical is the scope it provides to include a very large number of children, with up to 55 speaking parts if required. 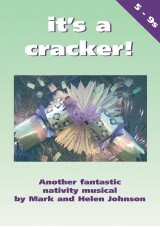 The minimum number of children that you could perform this nativity musical with is 31. Click on the character list and staging notes link above for comprehensive details on cast size. 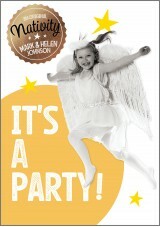 I did this play and I really enjoyed it !!!!! Best one I've done. we are learing this at school rigth now really amazing !!! Everbodys loving it i just need to know how to listen to the music on it so i can pratice ! 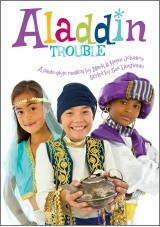 I was the coordinator of our school's production of this in November 2009. I was so impressed by the user-friendly resources, the quality of the music (which both children and adults loved) and the very suitable script. It was great to have lots of children involved with small speaking parts, as well as the "Inspectors" and "Teachers" who had the bigger parts. Everyone agreed it was the best musical we have ever done (and we have done several) and I am currently looking for another musical to do this year from "Out of the Ark Music". Some really catchy songs - FAB! Totally brilliant! Everyone LOVED it! Parents, teachers and children! 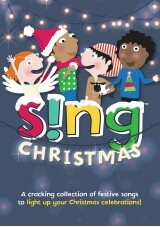 The songs are catchy and fun to sing - I had many favourites! Songs are also easy to learn. Script was funny and also shared message of Christmas story. Would recommend it to all!